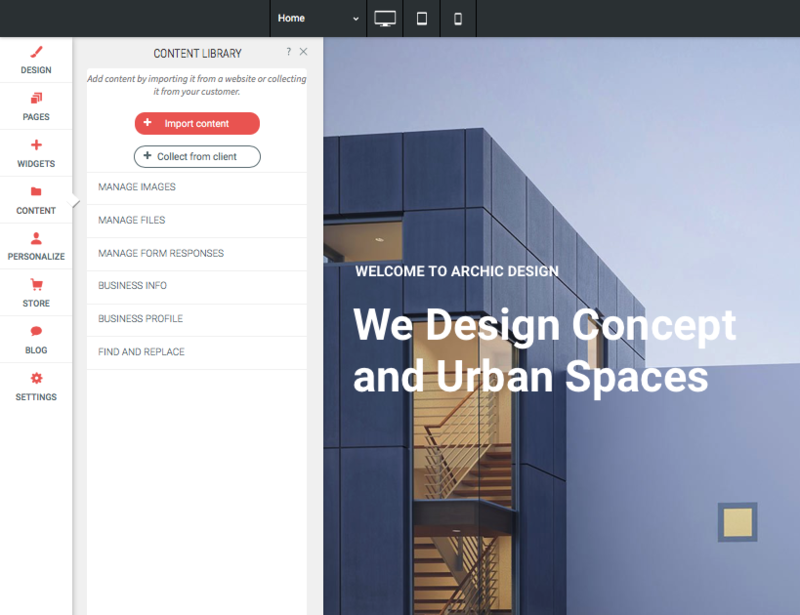 The Content Library in the site editor provides a place to store and retrieve info, images, and files for your site. 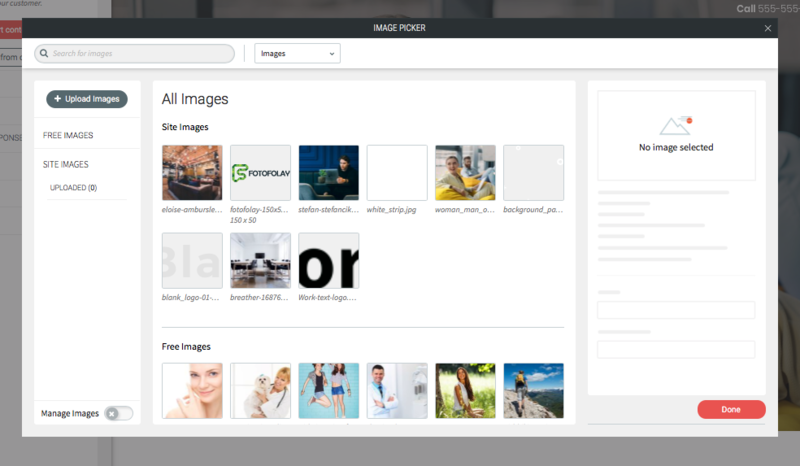 To import info, images, or files from another source select Content from the left section. You can click “Import content” and enter the URL or Facebook page. 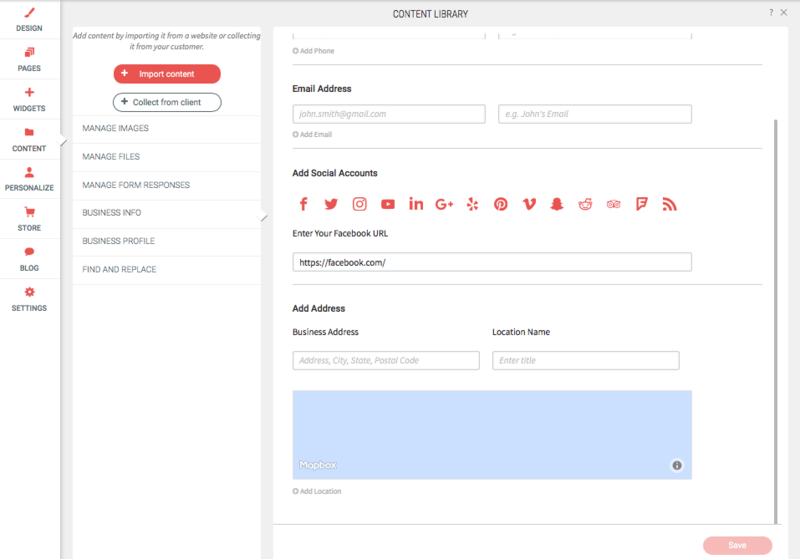 Alternatively, if you want your client to add the information you can select “Collect from client” and you will be given a URL that you can pass on to your clients. Note: This tool may not import all content from a previous site. To upload a file click “Upload New File.” To delete, simply hover over the file and select the grey x. You can view, delete, and manage form responses submitted by site visitors here. 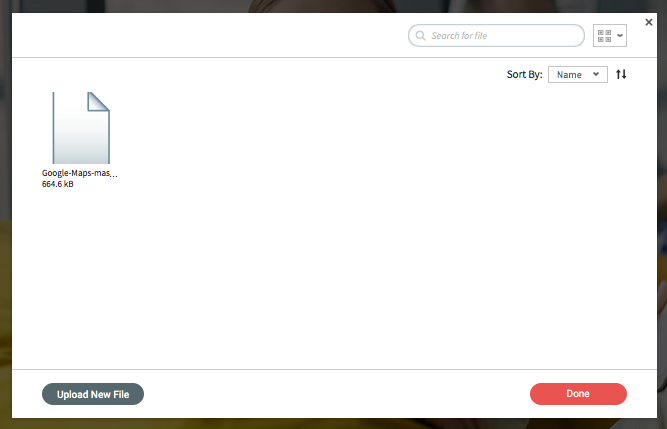 Use the search field to find a specific response by name or phrase. You can add or edit any business information here. This includes phone numbers, email address, physical address, and social accounts. Entering this information will allow relevant widgets to populate information automatically. Note: When entering your Facebook URL, ensure you are entering the correct URL: https://www.facebook.com/ + ID. If you have a profile similar to this https://www.facebook.com/WebsitesWithoutCode/, the ID is WebsitesWithoutCode, but if you have a profile similar to https://www.facebook.com/WebsitesWithoutCode/1234567890, the ID is 1234567890. 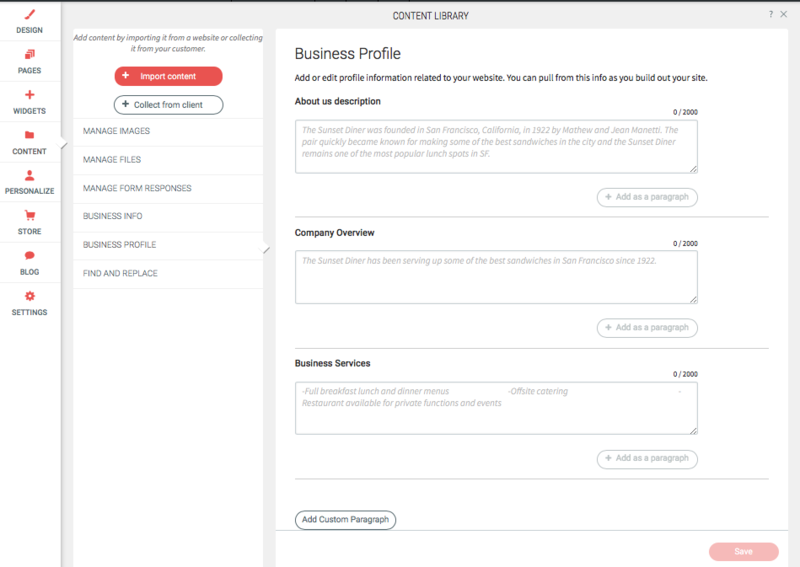 You can add or edit business background info (e.g. About Us) here and easily pull from it as you edit your site. 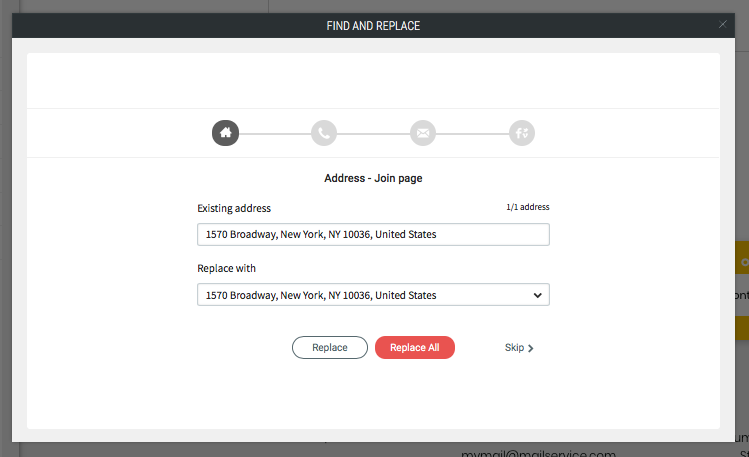 Use this tool to search the site and automatically replace specific details: addresses, phone numbers, email address, and social media account info. NOTE: You can manually override the content by making changes to any widget in the site.